Peel the onion and cut it into round slices. Heat a grill pan on medium-high heat and spray with cooking spray. Grill the onion slices 10-15 minutes until tender; turning occasionally and lowering the temperature as needed. Remove onions from grill pan. In a mixing bowl combine the lean ground beef with the steak seasoning, onion powder, ground mustard, salt and Worcestershire sauce. Shape into burgers and grill on the grill pan ~5 minutes each side. 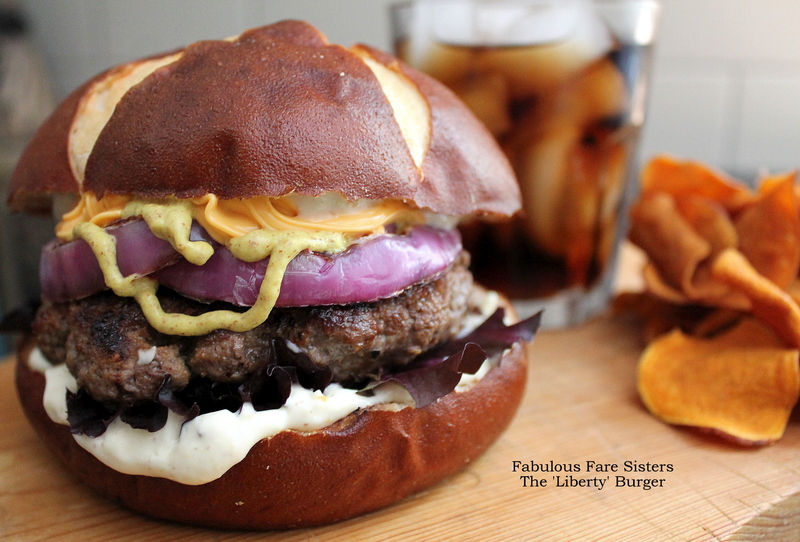 Slice the pretzel buns in half and slather each side with a little butter. 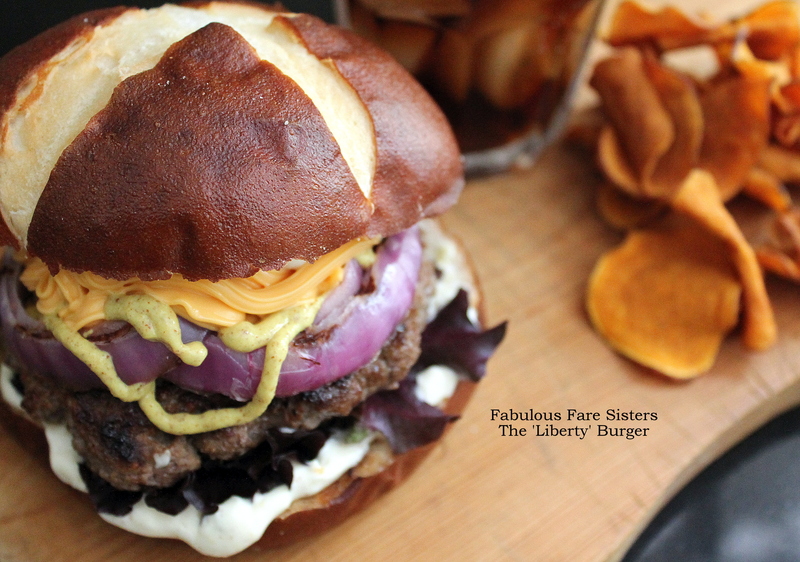 When burgers are cooked to desired doneness, remove from pan and place on a platter. In the same grill pan place the sliced burger buns butter-side down and heat until grill marks form. Meanwhile, in a small bowl whisk together the mayonnaise and the spicy brown mustard. 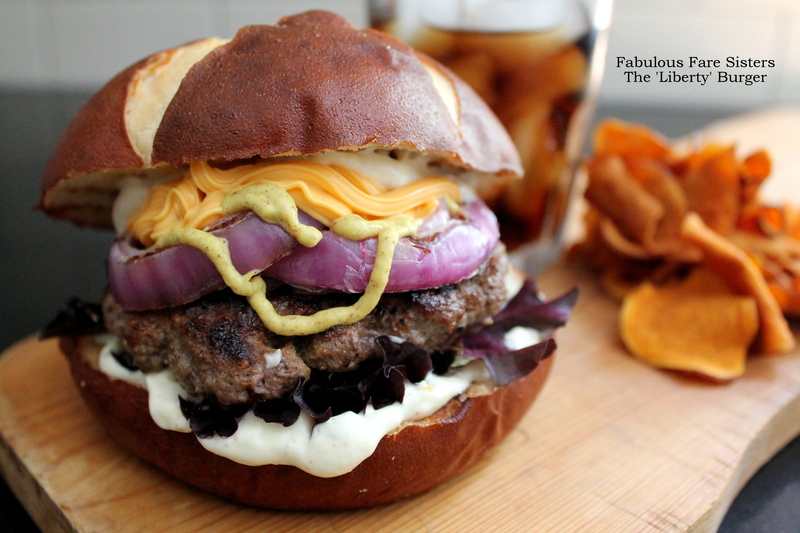 To serve: slather the mayo-mustard mixture on the grilled pretzel buns; layer with the lettuce, burgers, grilled red onions, sharp cheddar easy cheese, a squirt of spicy brown deli mustard and top with pretzel bun. Serve immediately. Makes 2 large burgers or 4 nice sized burgers.